FACT has today (Wednesday 9th November) announced it is expanding its intellectual property protection services to organisations outside the audio-visual industry. 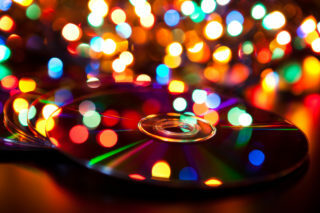 Established for over 33 years, FACT is recognised as the leader in film, TV and sports intellectual property protection. However, recent changes have created new opportunities for the organisation and now FACT’s expertise and technical knowledge are being extended to brands and businesses requiring support in protecting their content, brand and intellectual property. Offering a full range of content and brand protection solutions to protect digital content and physical goods, FACT’s services include; intelligence collation and analysis, forensic examinations, and a dedicated internet investigation and scanning service. With increased broadband speeds and a demand for all things online, technology is rapidly evolving. 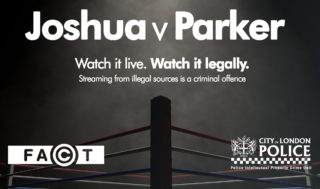 Unfortunately, criminals are taking advantage of this to steal copyrighted content and to sell counterfeit goods, making significant revenue for themselves and depriving legitimate businesses of revenue. FACT’s work is always at the forefront of technology. Working closely with both UK and international partners and law enforcement, FACT is continually developing techniques and solutions to effectively tackle new and emerging threats. FACT’s content and brand protection solutions are built on years of experience, knowledge and success. Recently it secured close to £1 million to go back into the ‘public purse’ following a successful confiscation hearing. Simon Hopkins and Leon Passlow were ordered to pay back £992,947.60 by January 2017 or each face up to seven more years behind bars for their illegal Premier League broadcasts scam. 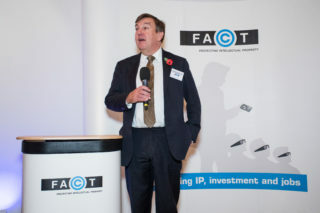 FACT Chairman, Mike Barley, said “We are about to embark on a new and exciting chapter for FACT which offers great opportunities to intellectual property rights holders both in the UK and overseas. Read more about our services or contact us today.